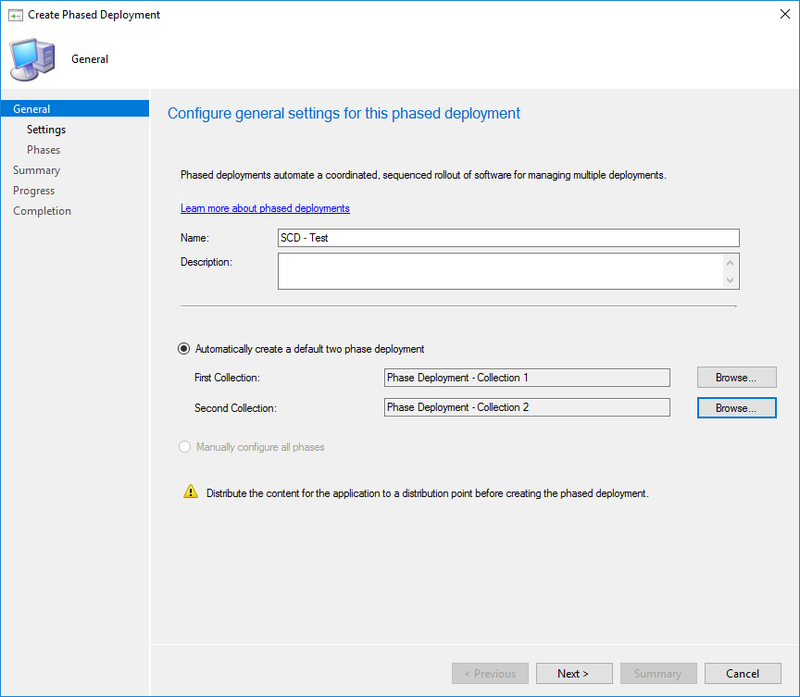 SCCM 1802 phased deployment was introduced as a pre-release feature and was supporting only Task Sequence deployments. 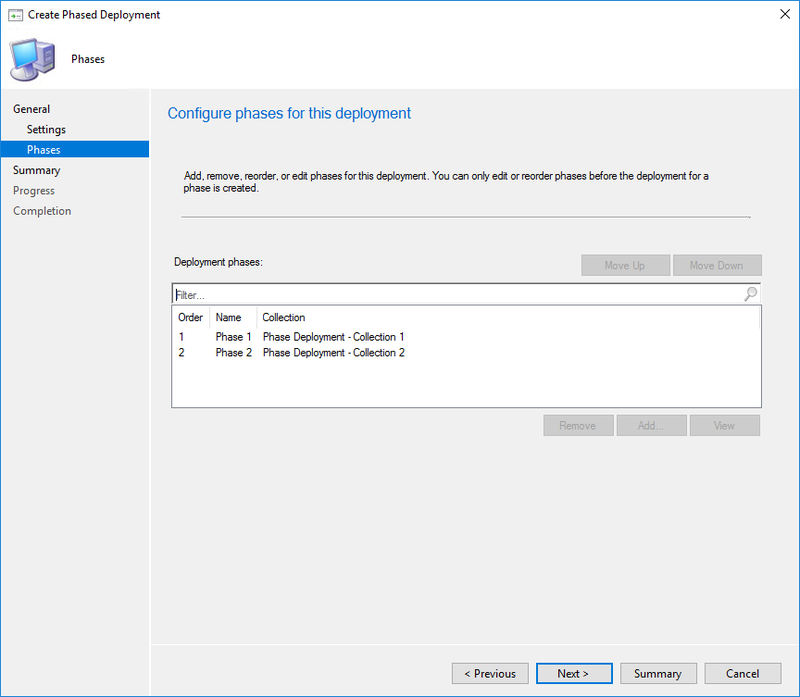 Beginning with SCCM 1806, it’s no longer a pre-release feature and it now supports application deployments. 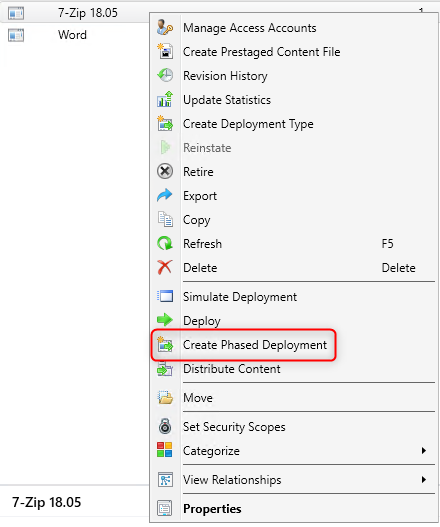 If you’re not familiar with Phased deployments, they allow orchestrating a software deployment based on certain criteria and condition. 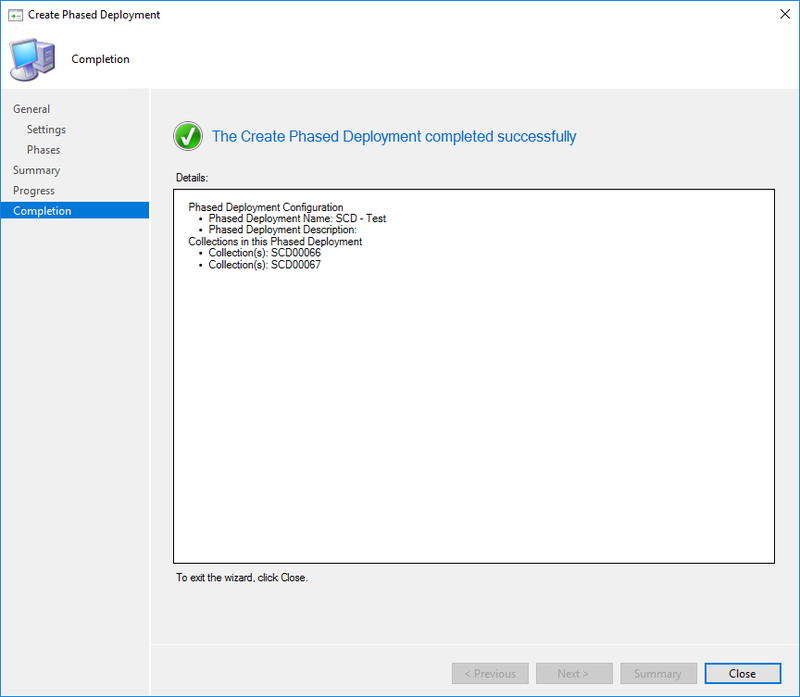 For example, you could use it to deploy an application to a pilot collection and then automatically continue the deployment based on success criteria. 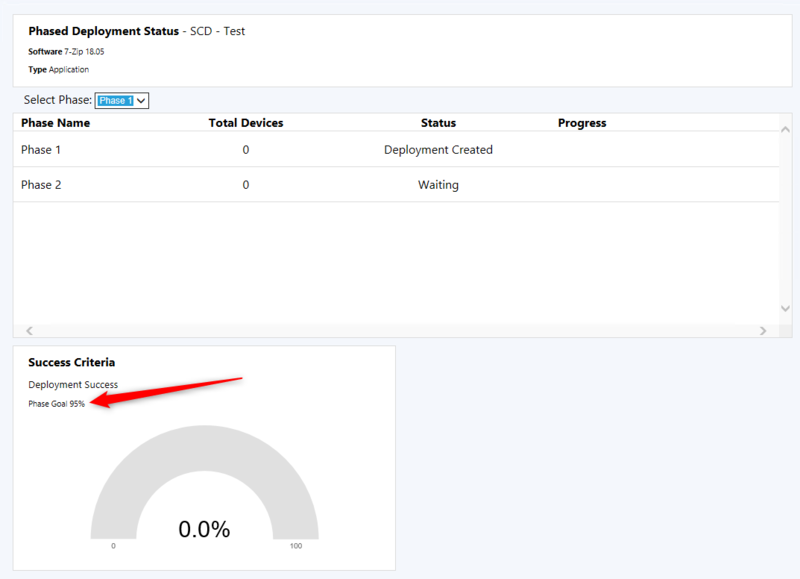 Once created, check at the bottom of the console in the Phase Deployments tab, you’ll see your deployment there and can adjust its settings if needed. 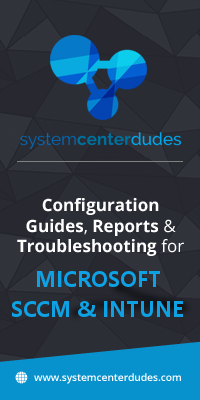 This feature will improve over time in the next SCCM release. Stay current to benefits the new features! 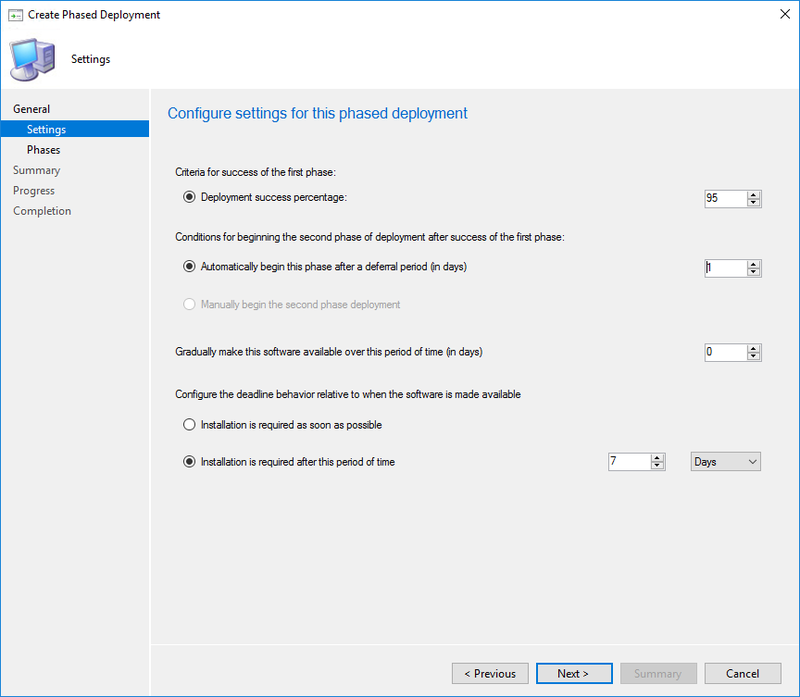 CCM R2 2012 SP1 “,I’m trying to import new drivers and the import process is stuck on “validating file permissions the logs it also states the driver already exists. I only have this issue with 3 driver packages from hp which are the hp 725 g4, hp 705 g3, hp 705 g4, on each of these i run into trying to create new driver sources/packages etc, the process will get stuck or freeze for an hour and when you check the logs it states the drivers already exist, but when you check the packages they are empty ive tried deleting the folders and re starting the process and placing the folder in a different location etc. how can i find where these drivers are hidden and delete them and also be able to finish the setup for these 3 pc models. i have searched online and tried numerous resolutions all have failed.